Thought this would be some Mission Impossible. Lightstick are easily available at the Beach Road Army Market. But white lightstick? 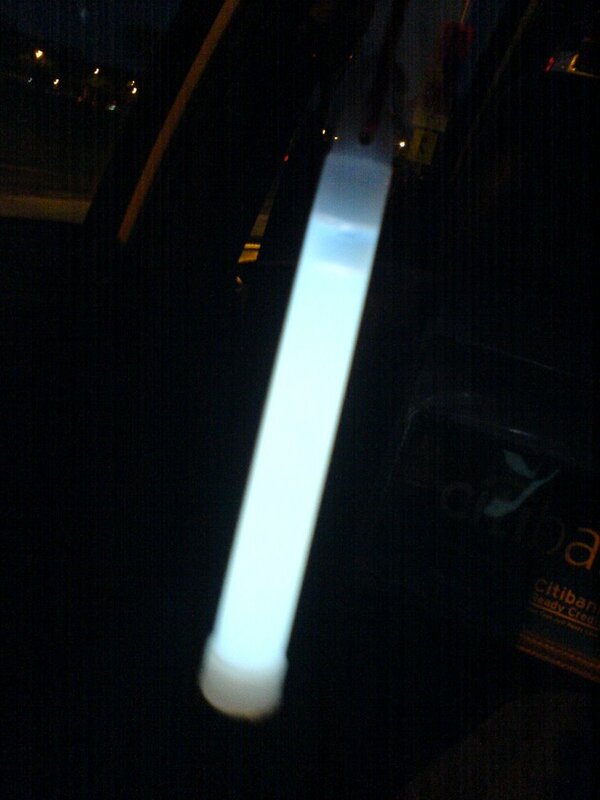 I don’t remember seeing a white lightstick back in army days. My 1st question was, do they exist? Well, a search on the internet reveal that they do exist. Anyway, got them at a stall in Beach Road Army Market. It looks abit blue-ish actually. But that is because of the surrounding light. When we place it into the original package, its pure white. 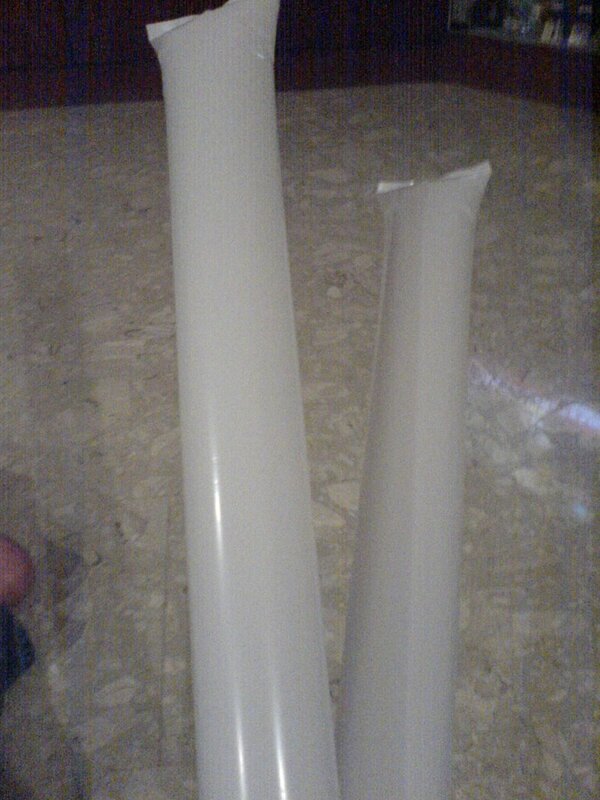 The white inflatable cheer stick/ Clapper is abit tricky too. In the first place, I’m not even sure the real name for the item. There are actually a couple of names for it. Cheer Stick, Thunder Stick, Clapper etc etc etc. Anyway, found 1 on the internet, but its rather expensive. So we settle for a cheaper one at Beach Road Concourse. Start counting down to party. Actually hor, before you told me abt concourse, already got people told my friend that concourse got already.